Located on the corner of Ridgeway Road and Park Avenue in East Memphis, P.F. 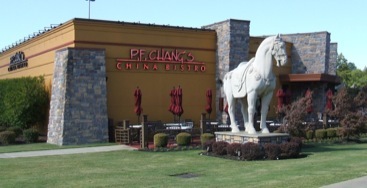 Chang’s China Bistro is one of the city’s most popular places to dine on Chinese cuisine. Every month, State Systems’ cleaning technicians pressure wash the kitchen’s vent hood system after hours to avoid disrupting the restaurant’s operations. This job typically requires two technicians working for seven hours. State Systems also inspects the restaurant’s fire extinguishers annually. For professional pressure washing services or fire extinguisher installation, inspection, and employee training, call us or contact us online.